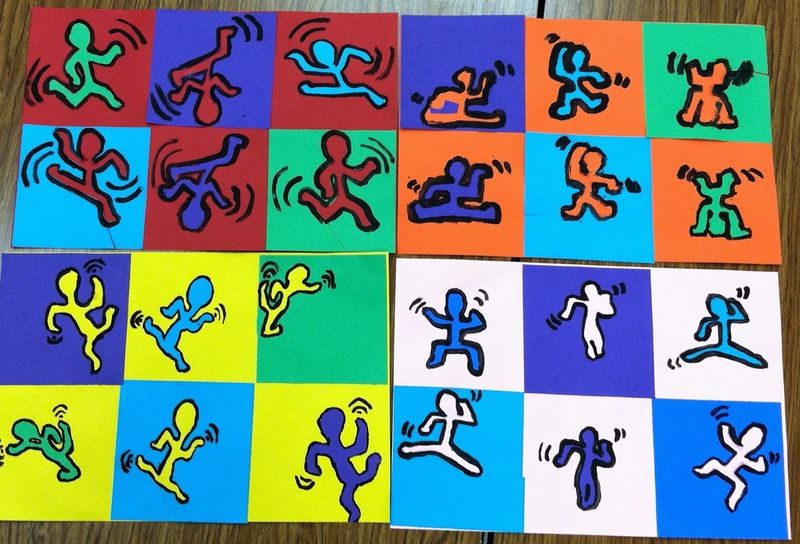 Haring's figures are "universal." They could be anyone: rich or poor, young or old, boys or girls. It doesn't matter who they are or where they come from, because everyone likes to dance! 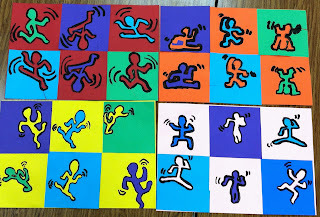 We started out by making some figures on paper that could bend and move like Haring's. We made some practice poses with our own bodies to see where the joints should be. We then cut the figures out to create both positive and negative space figures. They were glued down to a different colored background. 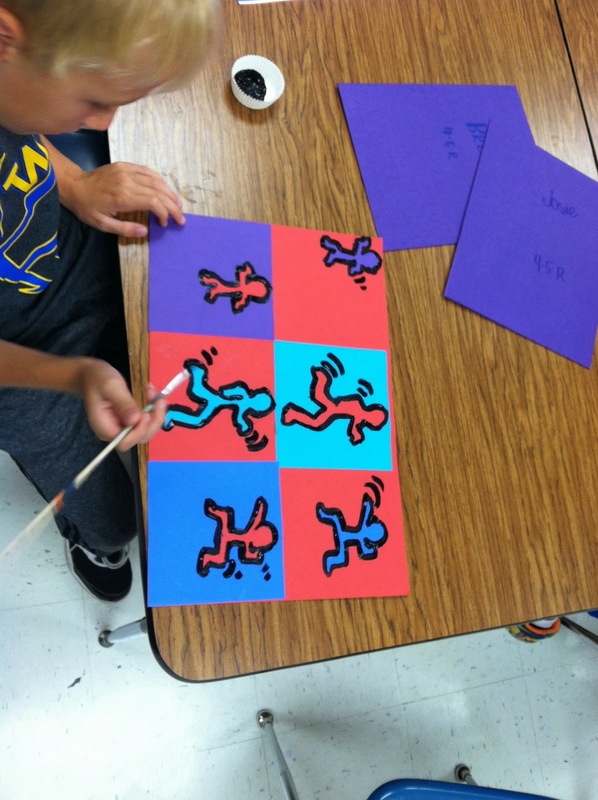 Then we outlined the figures and added "wiggle" lines with black paint!